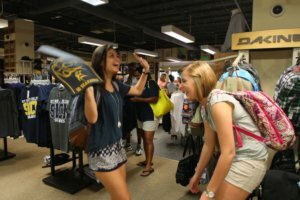 The Campus Center is the hub of student life at SMCM. 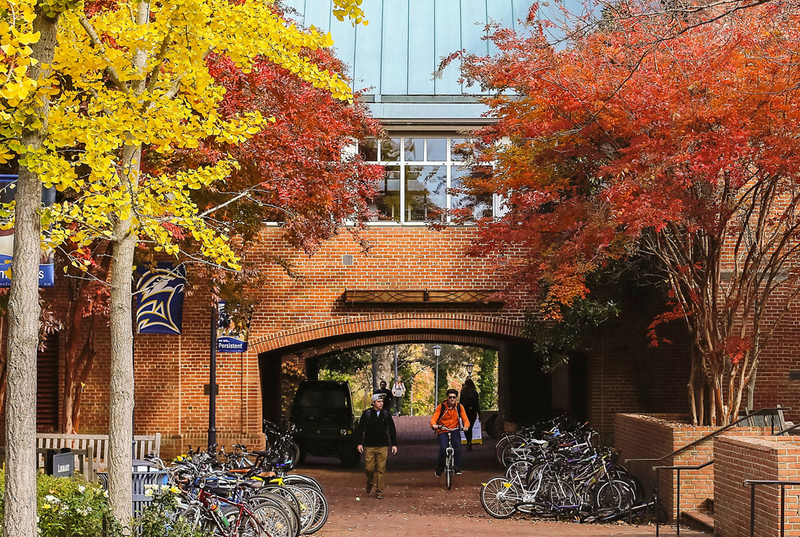 This is a great place to catch a movie, attend a lecture, or take advantage of one of the many events organized by the Office of Student Activities. 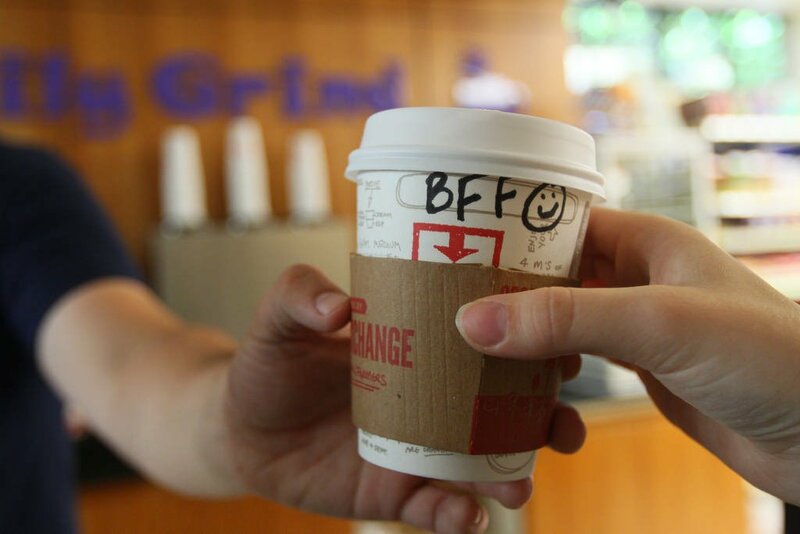 The Daily Grind is available for your everyday convenience needs, from your weekly groceries, to study snacks, to that mid morning caffeine craving – it’s also a place to hang out, listen to some good music, and relax with some fantastic people! 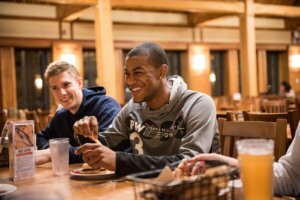 The Great Room in the Campus Center is the main dining hall that caters to a wide range of tastes and food preferences. Weekdays: 7 a.m. – 8:30 p.m. 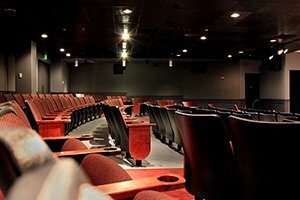 Weekends: 10 a.m. – 8:30 p.m.
A 100+ seat movie theater that screens current movie releases free of charge on Friday, Saturday, and Sundays, and features lectures by professors and guest speakers during the week. 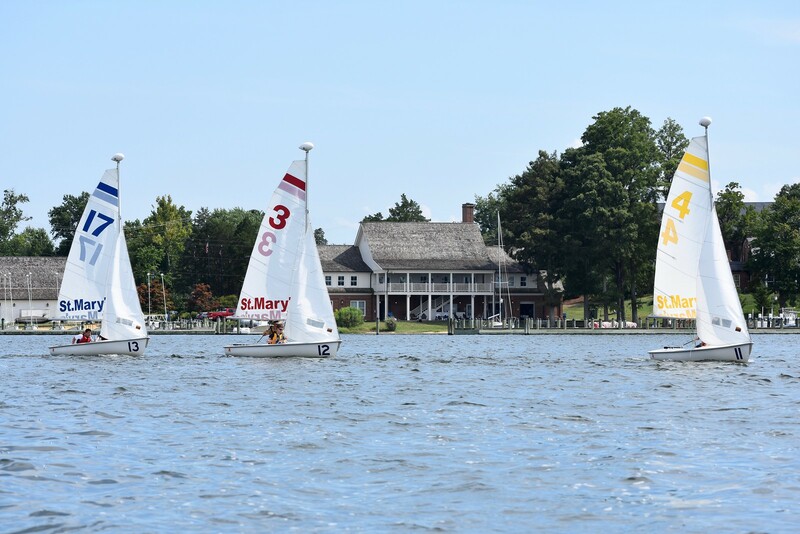 St. Mary’s prides itself on having one of the finest college waterfront facilities in the country. 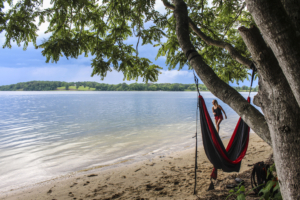 Students have free daily access to kayaks, stand-up paddleboards, windsurfing equipment, and FJ sailboats for their own recreational use. A sandy beach and wading area make for a perfect location to watch the sun set over the St. Mary’s River. Grab your Frisbee or spread a blanket or yoga mat — the Greens by the townhouses are a popular communal space for taking it easy. 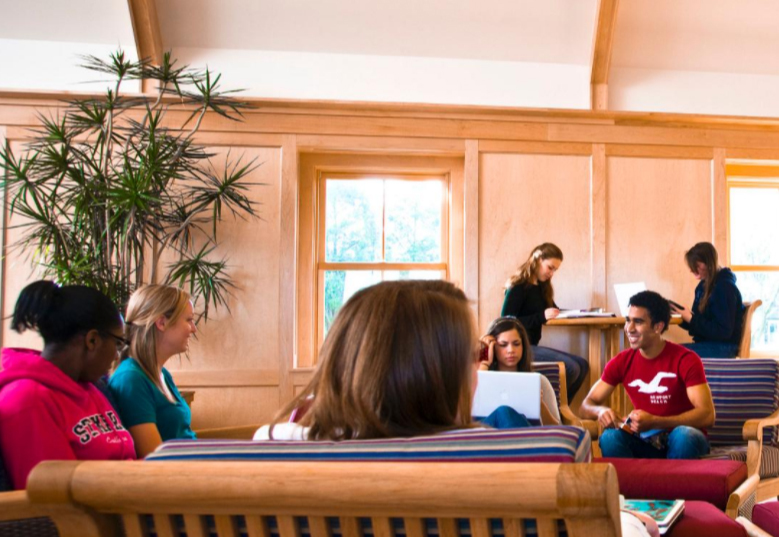 The Greens also hosts “The Pillow” – an area where you can site, relax, and sword fight fellow students. Finally, the Greens also contains the Admission Fields where public events like orientations are held. You can work and play in our library. 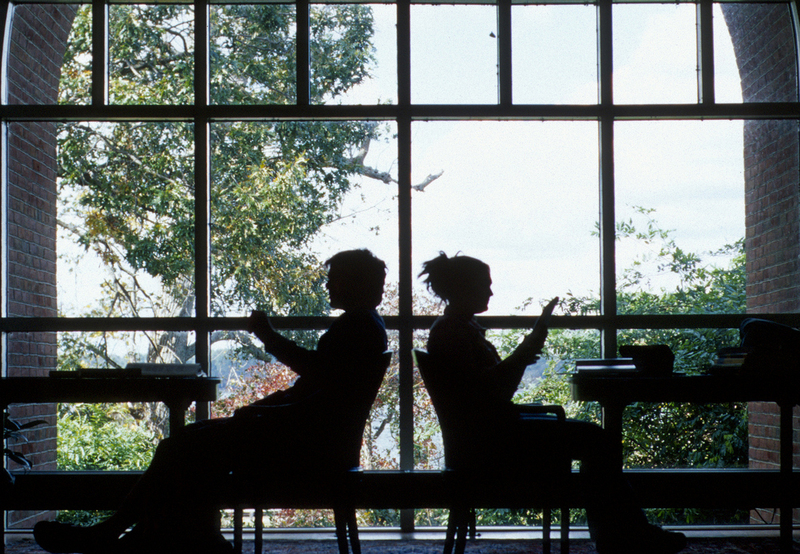 Check out a book, browse a periodical, and enjoy the social spaces and group study rooms it offers. Want a late-night snack? Go to The Pub and grab some cheese nachos or a black bean burger while you watch the game or catch up with friends in the evenings. Feel like a cook-out? 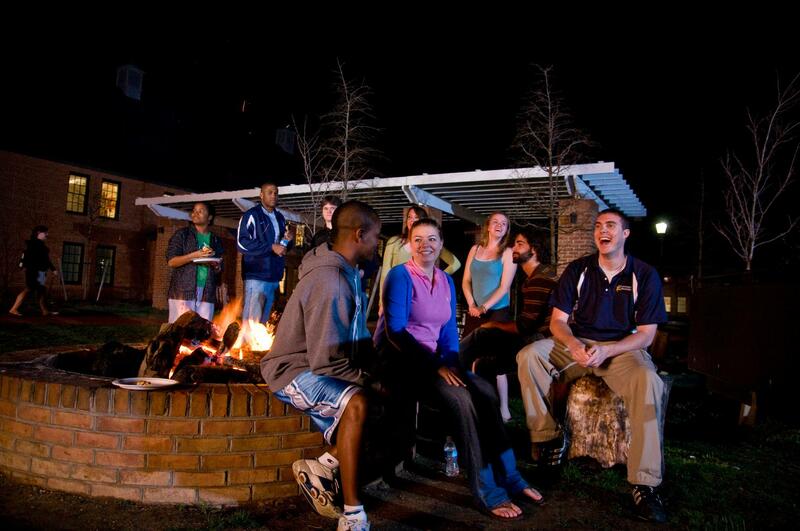 The Waring Commons fire pit and grill, the Lewis Quad patio fireplace, the South Crescents outdoor fireplace, and the outdoor grills located near residence halls are great places to kick back with some hotdogs and s’mores and enjoy the company of good friends on those cool autumn evenings. The Michael P. O’Brien Athletics & Recreation Center (ARC) contains 110,000 square feet of first-class athletic competition and health & fitness activities space. 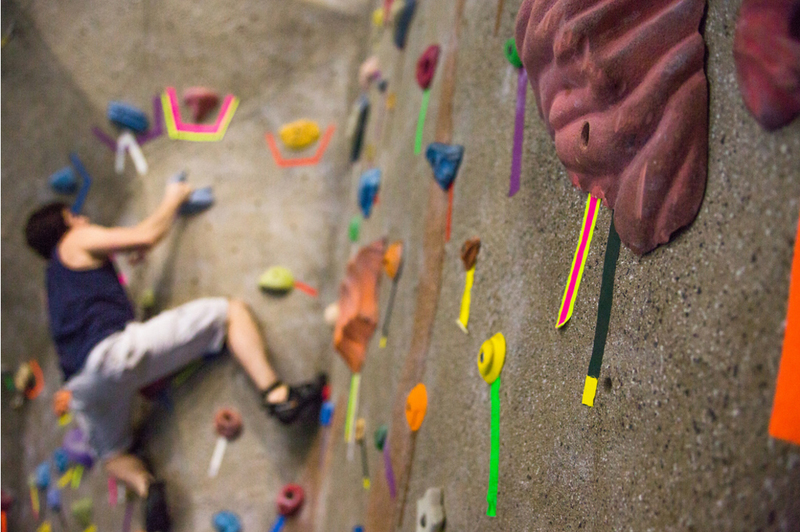 The ARC features 1,500 square feet of climbing wall, an Aquatics Center with a 50-meter and a 25-yard swimming pool, three areas outfitted with a variety of state-of-the-art fitness and weight training equipment, two recreational courts, and an Arena. The campus also features a running track, numerous sports fields, tennis courts, and dance studios that are available to students. In Historic St. Mary’s City (or (HSMC), 17th-century America comes to life through exhibits, reconstructed buildings, and staff interpretations. St. Mary’s College students receive complimentary admission tickets to all exhibit areas. 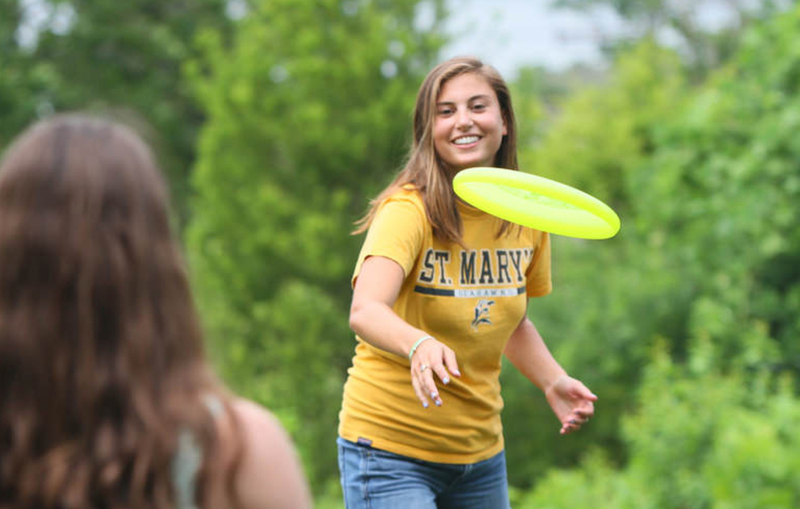 The St. Mary’s College of Maryland Bookstore sells not only books but SMCM branded clothing and gear as well! 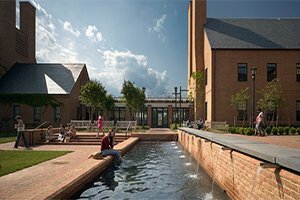 The Waterfront Campus is over 361-Acres! 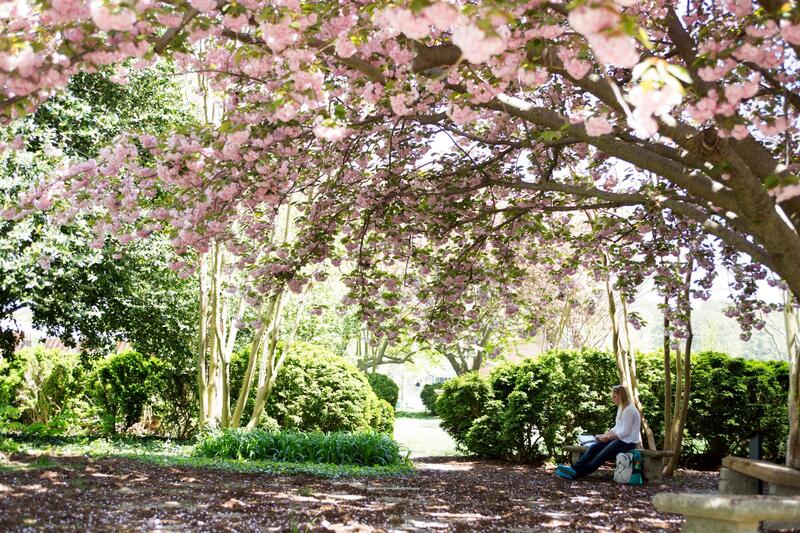 The Garden of Remembrance has been a prime wedding location for alumni and community members for almost a century. 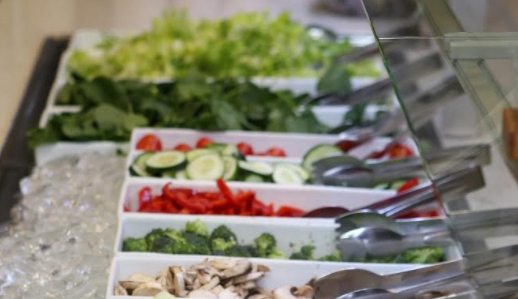 Organic produce used by the Great Room is grown by students at the campus farm.